Martlet &amp; Mare Books, 2014. 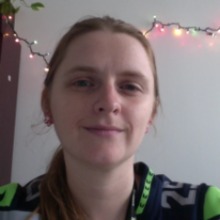 I hold a Ph.D. in English from Queen's University Belfast with a dissertation on James Joyce as a teacher of English as a Foreign Language, an MFA in Poetics and Creative Writing from New College of California, and a BA from the still-successful Evergreen State College. Currently I am a Contributing Editor to Poets' Quarterly and a Liberal Arts Instructor at the College of the Marshall Islands. Well, there's this one drunk Irishman who lived in Trieste for a while . . .
Elizabeth, thanks so much for your comment on dream lives and cancers! I look forward to reading your work. Looked like a cool thing to look into. Just emailed you. Thanks for your words on "Carver". I think that I've always felt (or maybe wanted to feel) that my body was mutable, changeable-maybe not permeable but something I could "modify". Thank you so much, Elizabeth, for commenting on and faving "After Prom". I think it's kinda awesome that you contributed to an anthology on Lady Gaga-"Just Dance" was playing at the prom that inspired my poem. Glad you liked Kahma. I don't talk like that, honest. Thanks for liking my poem "Morning," Elizabeth. I appreciate your kind words. Kate - I'm glad you liked Hinky and Claudette. Thanks very much for reading it and for your nice comment! Thanks for your comment on my story 'Equilibrium', Elizabeth. Much appreciated! Look forward to reading your work too. Thank you for the comment on RA. Puns are always good! Thanks for the thoughtful comment and the close read on Picture Dreams, Elizabeth. I appreciate the read. Elizabeth, thank you for finding Lake Chelan and for your lovely comments about it! Thanks, Elizabeth! (Re: my profile picture.) It was taken in Amsterdam. Just read your bio --- your life sounds amazingly interesting! I also used to live in Brooklyn. Really enjoyed The Secret Life - looking forward to reading more of your work here. And thank you for your comment on My First Serial Killer. It's been quite a while since I read The Collector, but I like your connection. Thank you for jostling my thinking on my story. You must log in to write on Elizabeth Kate Switaj's wall.